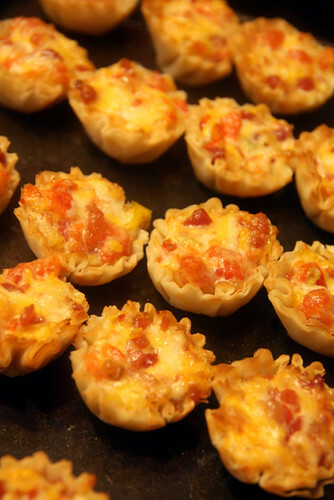 I was scanning Pinterest for a recipes for appetizers for the small NYE party we had at our house, and I came across Rotel Cups. 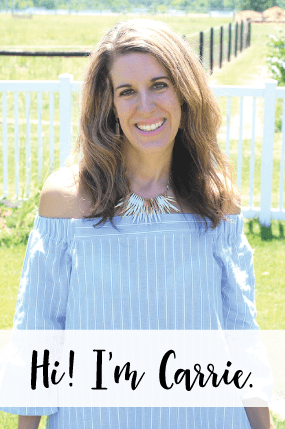 I LOVE Rotel, so I knew I had to make them… its a really easy recipe, too, so I am sure I’ll make these again for a food day at work or another party at our house. The ingredients are simple, you see them all in the bowl that is pictured above (minus the Fillo shells). 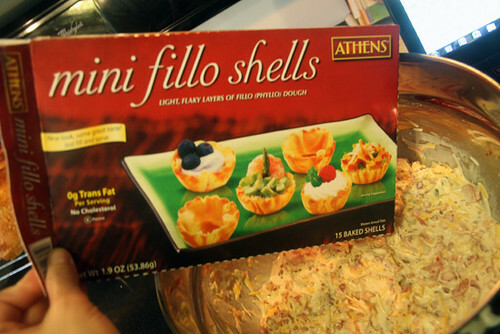 Then you mix them all up and get the Fillo shells out of the freezer. Stuff the shells and put in the oven at 350 for 15-20 minutes. 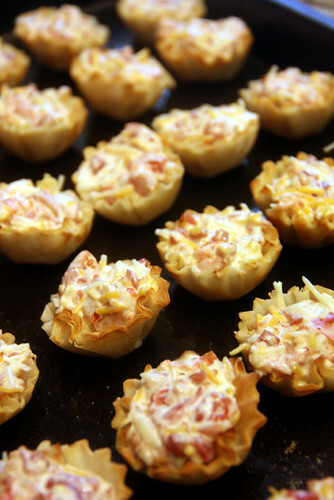 And, pull them out for a delicious appetizer! 1. 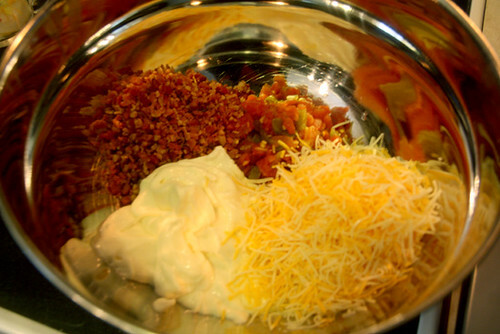 In a large bowl, mix together almost fully drained Rotel, bacon bits, cheese and mayo until blended. 2. Now go ahead and fill your shells. 3. Bake in the oven at 350 for about 15-20 minutes.